Update: Since the initial publication of this article, Russia has vetoed the draft resolution proposing an international tribunal to investigate the downing of flight MH17. The vote was held in a Security Council meeting on July 29th. Malaysian Airlines flight MH17 was shot down over the Ukraine in July last year in an incident that killed all 298 passengers and sparked an international crisis. The flight was headed from Amsterdam to Kuala Lumpur and most of the passengers were Dutch nationals. Western countries and the Ukraine have accused Ukrainian rebels of the shooting and Russian authorities of supporting the rebels. A draft resolution on the establishment of a tribunal to investigate the events was distributed to the Security Council last week. It is backed by Council member Malaysia and supported by non-members the Netherlands, Belgium, Ukraine and Australia. Russia quickly dismissed the draft, citing bad timing and accusing the backers of the draft of trying to make a “political show”. Among the critical voices from the Russian Federation is UN ambassador Vitaly Churkin who said Friday that he sees “no future whatsoever” for the draft resolution. Russia has also denied that the state supplied the Ukrainian rebels with the weapons system claimed to have been used to fire on the aircraft. A final report by Dutch investigators is expected shortly. The initial report, published in September last year, established that the aircraft had been hit by a “number of high-energy objects”, suggesting it was shot down. “A tribunal established by the council would ensure broad international support for prosecutions and would maximize the prospects of securing international cooperation, which will be necessary for an effective prosecution” Australian Minister for Foreign Affairs, Julie Bishop, said in support of the current draft resolution. The downing of MH17 drew heavy attention last year as it concerned not only Russia and the Ukraine but also Malaysia, the Netherlands and several other states whose nationals were among the killed. 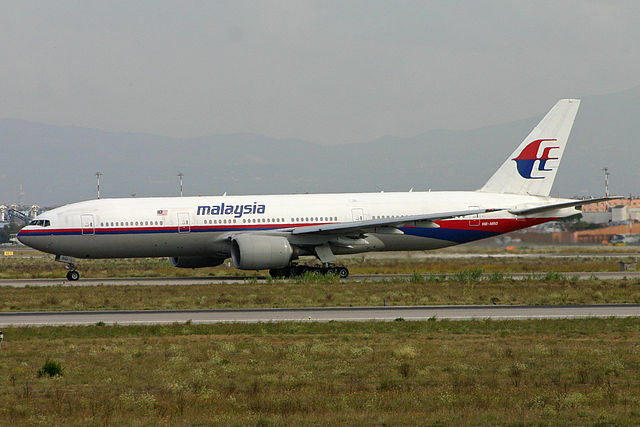 It followed only months after another Malaysian Airlines flight went missing en route to Beijing, causing fear among passengers. There are no links between the incidents, however.